It’s no secret that maintaining a prospect’s attention from first contact to signed contract can be a tricky proposition. B2B sales cycles are getting longer, more stakeholders are involved in the buying process, and competition is downright brutal. How do you stay top of mind without losing yours? Solution: Use automated follow-ups to keep in touch the smart way. Yesware Team and Enterprise users can now set up a series of personalized emails and send at timed intervals using automated follow-ups in Mail Merge. Not a Yesware user yet? Try a free trial to get up and running in seconds. You’ll become more efficient at prospecting new leads and communicating with clients.) Automated follow-ups employ a tactic similar to one originally invented by marketing — the drip campaign. 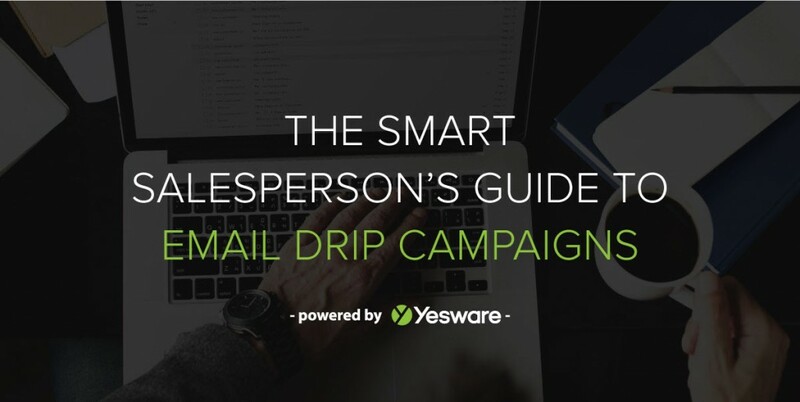 But unlike drip campaigns run by marketing, automated follow-ups are uniquely tailored to the individual deals you’re working on (think of it as laser-focus versus flashlight). Schedule a series of up to 10 automated emails (i.e. stages). Yesware tracks who opens or replies to your messages. You decide whether to send subsequent emails based on what they do. You could, for example, decide that it would be incredibly awkward if a prospect replied to your day two email, only to receive another automated email in the same follow-up series. That’s where conditional filters come in: Yesware can automatically stop sending follow-up emails once a recipient opens or replies to a previous stage. This way, you can ensure you are sending targeted emails at the right time, all the time. It’s just as easy to manually remove a recipient from your subsequent stages as well. 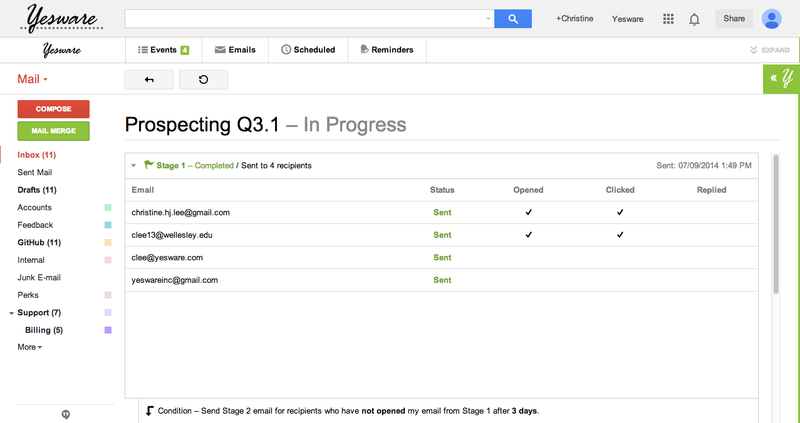 Quickly see the status of all your sent follow-ups, right in your inbox. Questions? You can learn more about Mail Merge with Automated Follow-Ups in our support forum, or get in touch with us at support(at)yesware(dot)com. We’ll also accept opinions, comments, friendly hellos, or gifs of you dancing up a storm while sending automated follow-ups (but really). Happy selling!